Envision the sun, white sand beaches, palm trees and the tropics... this is your destination for the next 28 days. While attending your 300-hour Yoga Teacher Training at our beautiful retreat center in Boca Raton, you will have the opportunity to experience community classes in the park, drum circles in the evening, sunrise beach meditations, field trips and so much more. What is this so much more you may ask? During your stay with us, you will gain more continuing education credits and certifications in Yin Yoga and Pre-natal Yoga are also included in your training. All of this in the same time it takes to go through your 300hr yoga teacher training. If you choose you can even stay after graduation for the weekend and get certified in children's yoga. This 300-hour program provides everything you need as mandated by Yoga Alliance in philosophy, anatomy, business, wisdom, sutras, kriyas, meditation, pranayama, adjustment, the art of teaching, language of energy, and nutrition. We teach Sadhana Shamanic Yoga, the Yoga of Spiritual Practice and the asana practice of Vinyasa, Hatha and restorative flow. Our approach is experiential, contemporary and eclectic. We bring to life the ancient teachings of yoga and Shamanism through accessible spiritual lessons and their relevance today. 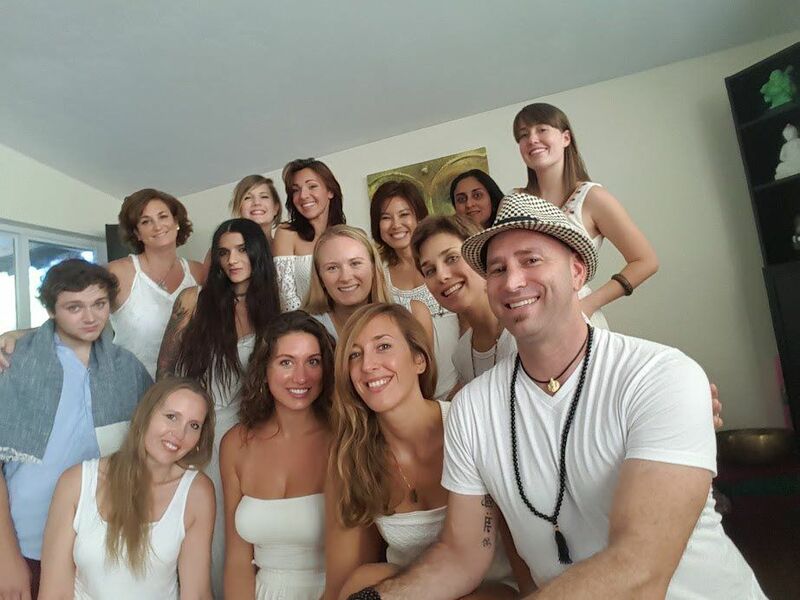 Zen Den Yoga School is based in Boca Raton Florida, offering 200 and 300 hour YTT Yoga Teacher training certifications. Besides our yoga teacher training course, we have a beautiful Yoga Retreat Center with on going retreats throughout the year. This 300-hour program provides everything you need, as mandated by Yoga Alliance, in philosophy, anatomy, business, wisdom, sutras, kriyas, meditation, pranayama, adjustment, the art of teaching, language of energy, and nutrition. You will get to experience community classes in the park, drum circles in the evening, sunrise beach meditations, field trips. and more. The approach from Ira Ohm and his wife Valerie is contemporary and eclectic, they bring to life the ancient teachings of yoga through accessible spiritual lessons and experiential interactive shamanic activities. One month intensive courses are Monday through Sunday 6:45am to 5:00pm with 45 minutes for breakfast and 2 hour lunch.You will also meet every Tuesday evening from 7pm to 8pm. An integral part of your 300hr training will be in the plenty of time for developing your personal Sadhana. The graduates commonly report receiving much more than a yoga certificate from the program. It is often described as a life-changing experience that provides an opportunity for individuals to know themselves and a deep and lasting way. Zen Den Yoga School offers the students the opportunity to embark on a journey that brings them to a place of deeper knowing. The yoga teacher training offers much more than the physical aspect of yoga, it guides you along a yogic and shamanic journey of transformation mind, body and spirit. It is intensive physically as well, you will do a 90 minutes asana practice in the morning and in the afternoon. Be prepared for the challenges of this intensive on all levels - physically, mentally, and emotionally. The schedule includes multiple yoga classes, group discussions, as well as other training from world class teachers, and bonding events. Before you arrive you will be required to begin your yoga anatomy online course. Upon arrival, you will receive the 300-hours yoga teacher training manual, The Upanishads and Yoga Sutras. The students get the opportunity to practice asanas and the respective alignments; explore the advanced aspects of the Yoga Sutras and Upanishads; experience and learn to dive deeper into numerous meditation techniques, and of course perform regular peer-teaching. You will develop your business plan, and learn how to make six figures with the business and marketing of being a yoga teacher, including a thorough understanding of how to be advantageous in saturated markets. Many of the graduates continue to work with Zen Den Yoga School after they graduate; some even teach at the school or support the organization in other ways, but all share a bond and stay in touch. We will do our best to match you with a roommate if you would like to share a twin-bedded room with another student of the same gender. Otherwise, a single supplemental fee may apply for a private room, or students are placed in double rooms and triple rooms based on gender and order of enrollment. Learn to create sequences: Ashtanga-inspired Vinyasa, and Sivananda Hatha flows with shamanic inspirations. You will be qualified to register with Yoga Alliance as a Registered Yoga Teacher (RYT-500). Zen Den Yoga School accepts participants from worldwide of all levels, students enjoy benefit from having a diverse, often international group to learn with. At the same time, programs will be capped at 12 participants and it is an intimate experience so all students get the most personalized attention throughout their training. Zen Den Yoga School asks that participants make a commitment to complete the course, students are required attend all the hours of the training, teach 5 classes, and complete and hand in their exam in order to graduate. 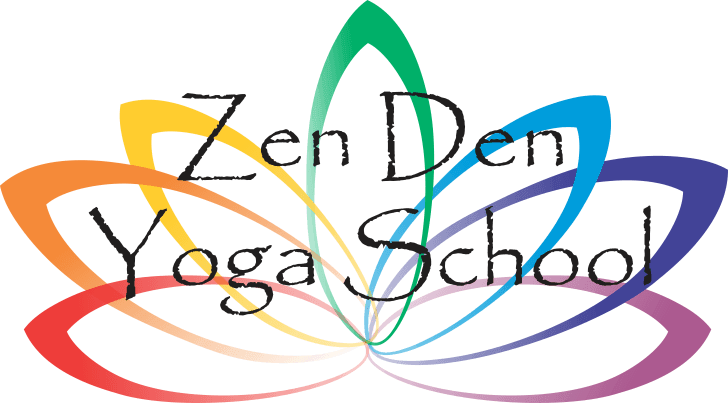 Zen Den Yoga School is a registered Yoga Alliance 200-hour and 300-hour school. As a Zen Den Yoga School graduate your teacher training certification is recognized by Yoga Alliance internationally. Upon successful completion of the course, you will receive a certificate from Zen Den Yoga School and be qualified to register with Yoga Alliance as a Registered Yoga Teacher (RYT-500).